In the Adelaide Hills in the early 1980s, there wasn’t much in the way of vines and wineries. When Stephen George from planted the Ashton Hills site in the Piccadilly Valley in 1982, the only other serious established vigneron was the legendary Brian Croser who was growing Pinot Noir and Chardonnay in the Hills for Petaluma. 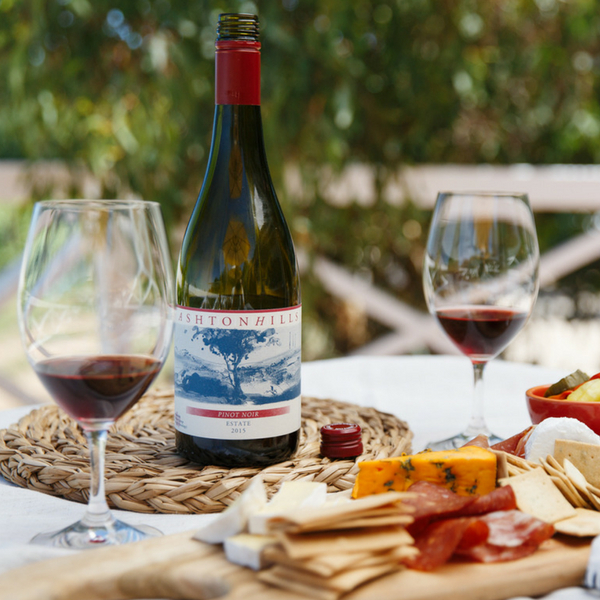 George made it his mission to put Adelaide Hills Pinot Noir on the map. George experimented with over 25 different Pinot clones until he settled on the five that he felt worked best for the site and his style. He makes his wines in an old shed, using an old crusher and fermenting in old milk vats before moving it to barrel. George lives on the Ashton Hills site for most of the year, although he disappears in the winter months to Germany with his partner Ewe, managing to sneak across to Burgundy every now and then to see what’s happening with his favourite producers. 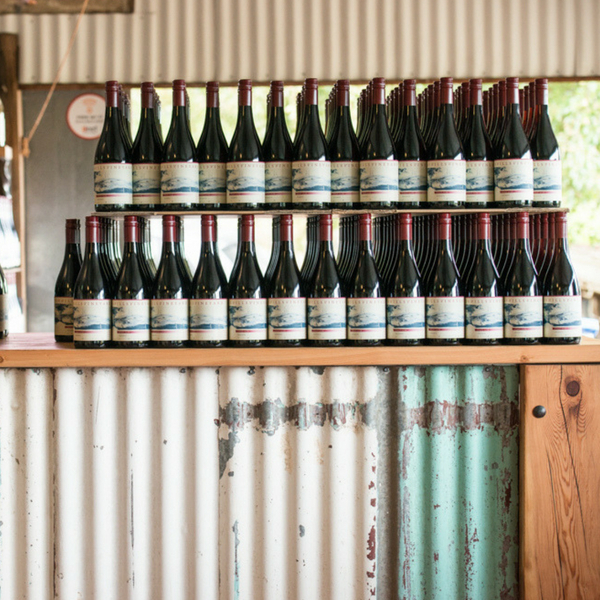 Wirra Wirra bought the business from George in late 2015, but kept him on as winemaker and allowed him to keep his house on the property. 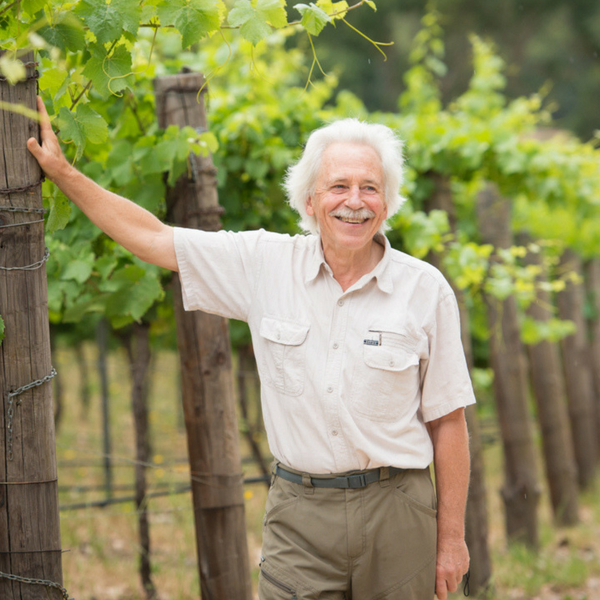 Having been a one-man band for so many years, he loves having viticulturist Anton to talk vines with. Ewe’s son, Ben, also helps out. 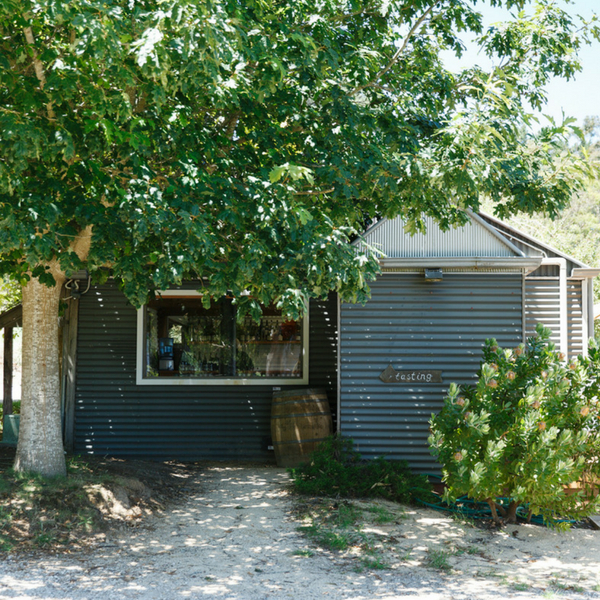 There is a small, rustic cellar door on site, nestled among the vines and trees. It has a beautiful deck attached so visitors can sit outside with a glass of wine and a cheese platter. During the cooler months, the inside fire is a welcome attraction. Open every Friday to Monday, and wine tastings are free. Keep up to date on Instagram and Facebook. Ry Cooder – because it’s remained underground yet influential over all these years. It’s still cool and doing some of its best work right now. The ‘Sounds of Silence’ – it is so tranquil that the local birdlife provides the soundtrack. 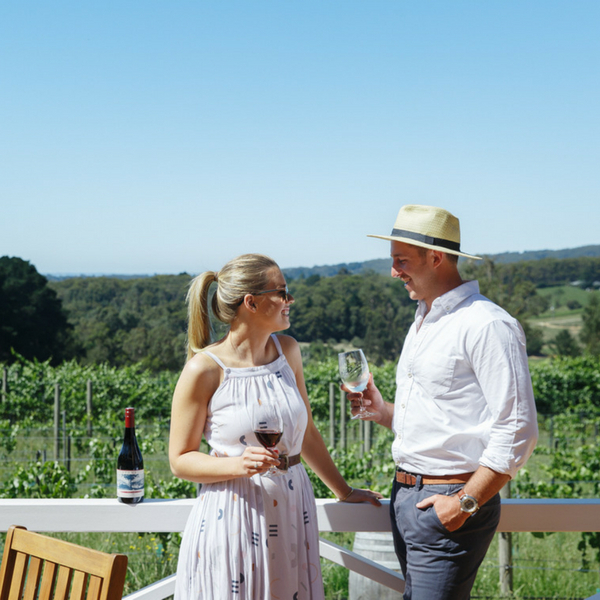 On the deck at our cellar door in summer as the sun sets over the Adelaide Hills. It overlooks our vineyard and is framed by the Mt Lofty Ranges. Even if the gully winds have been blowing through, there is a time around dusk where they seem to abate and there is an incredible stillness and serenity as the temperature starts to cool. Ashton Hills wines are available at our Cellar Door or online at ashtonhills.com.au. You can also join our wine club – The Martini Club! We also can be found in restaurants and a small selection of fine wine retailers.